It’s summer again and we know that you are damn excited for your upcoming holiday. Your itinerary is planned and flights and hotels are booked. So now is the time to zero in on your attention to packing your luggage. While some people end up packing too much into their suitcase, others forget to carry the necessary items. And we don’t want you to bear the brunt of either of these. To ensure that you have a seamless holiday experience, we have an ultimate 7-day packing checklist to ensure that nothing can jeopardise your vacation. Invest in a lightweight suitcase so you can accommodate more stuff in there. 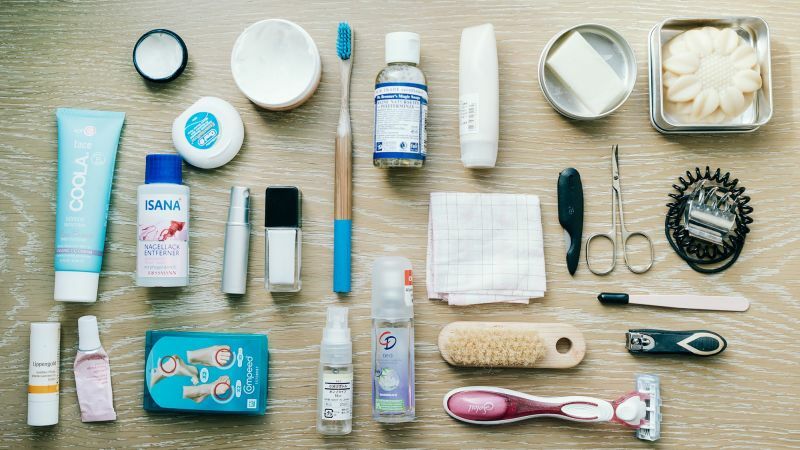 Don’t carry items like shampoo and conditioner, as you can buy all these at your resort or hotel. You are also likely get a towel and a hairdryer. But don’t forget your beach towel. If it’s a beach vacation, you are going to spend most of your time in your swimwear. So get rid of all those extra clothes that you think you may need. Folding clothes is a thing of a past. Rolling your clothes is the best option as it takes less space and leaves no creases. If you are carrying a jacket, a sweatshirt and a trouser, it is better you wear them when travelling. This will reduce your luggage weight. Make sure you have extra space for your holiday purchases, or you will have extra baggage to pay for on your way back. Before you start packing your clothes, download a weather app like Accuweather to know your exact requirement of clothes you need to carry. Such apps give you the most detailed weather forecast. Opt for kaftan style dresses in cotton fabric, as polyester is going to make you feel sweaty. Such dresses look chic and are suitable for both beach and bar. One pair of denim shorts (a looser fit) along with a couple of cotton shorts are more than enough. Two to three light-coloured t-shirts in good condition. T-shirts are your best friends when it comes to covering your burnt shoulders in the scorching heat. Two pairs of cotton night suits are more than enough. If you are comfortable wearing a bikini or swimwear, carry at least two pairs. Make sure your bikini fits well and works for your body shape. Shop for a sarong, they are the best and lightest beach wears ever. Beach items – nose plugs, snorkel, goggles. Armbands/floatation for kids. Don’t bother to carry your heels, as wearing it on the sand and cobbled streets is only going to give you blisters. Sliders are your best holiday footwear and look cooler than flip-flops. They are perfect for mooching around the swimming pool. If your vacation involves sightseeing, don’t hesitate to pack your trainers. You will be comfortable and save your feet from tan. For dinner, smart pointy flats will complete your look. Guys can pack their casual shoes for evening. Sunglasses are the most important accessory on your summer holiday. Go for the one with good UV filter. Keep an extra cheaper pair too, just in case. Sunhat is important but you can always buy it at the destination you are travelling too. This will save a lot of space in your bag and your hat won’t get crushed. Don’t carry your expensive jewelry. A light pair of everyday earrings will do, but you can a put in a pair of jazzy earrings for the evenings. A simple straw bag to carry on the beach. Make sure it can accommodate a book, a bottle of sunscreen, a beach blanket and a towel. A sling or cross body bag for sightseeing. You can safely keep your mobile phones and credit cards in it. Carrying your full makeup kit is going to be futile, as you won’t really require makeup during beach bumming and sun lounging by the pool. Just pack the essentials like waterproof mascara, concealer, kohl and a couple of lipsticks that you need for the evening. Make sure you have packaged chargers for your cell phone, video camera and laptop. A portable charger is always a good idea for snap heavy days. 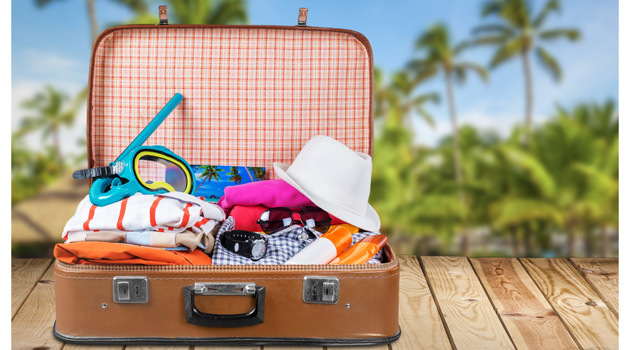 We hope this summer vacation packing checklist reduces your hassle and helps you enjoy a seamless holiday. Enjoy your vacation!